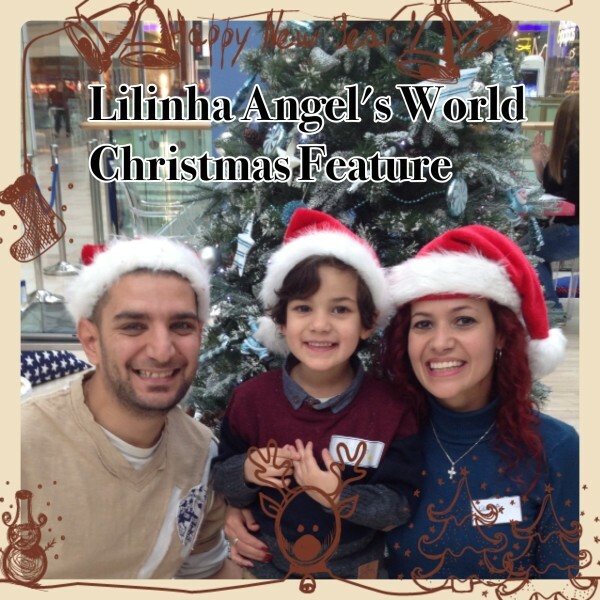 Today, Lilinha Angel’s World is giving away a Osmo Golden Luxury Gift Pack (RRP £19.99) as featured on Christmas Gift Guide 2013: Top Gifts for Her. Osmo Golden Luxury Gift Pack is a luxurious Argan Oil infused range designed to add a touch of luxury to your hair regime. The unique formulations breathe new life into tired, dull, lifeless locks, and hair is reborn to optimum vitality and show-stopping condition. 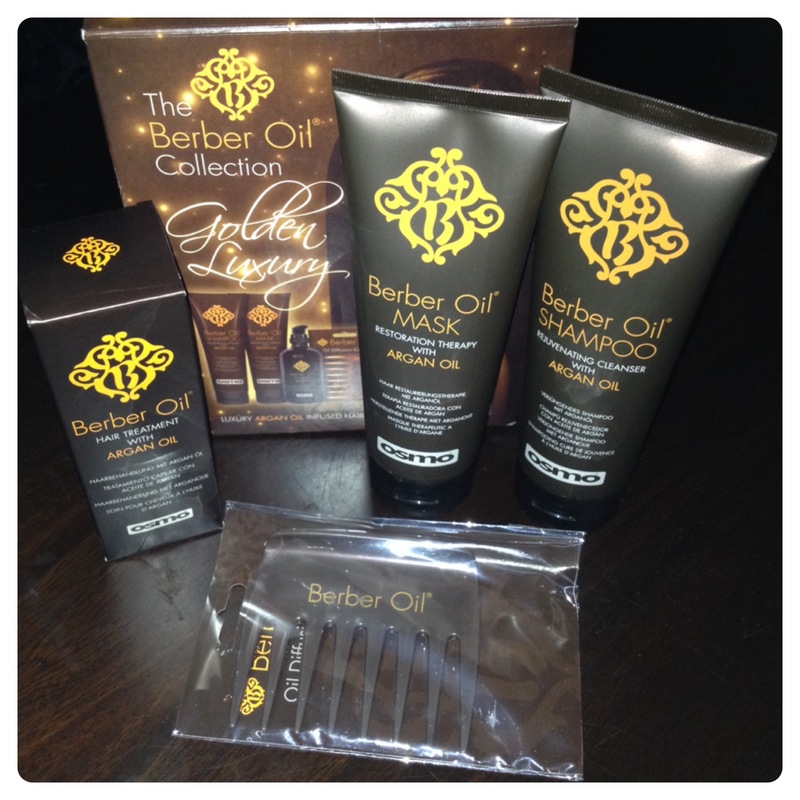 The Berber Oil Collection Gift Set includes Berber Oil Shampoo to rejuvenate and strengthen, Berber Oil Therapy Mask to rehydrate and restore, and Berber Oil Hair Treatment to help hair return to optimum vitality whilst reducing drying time and protecting against UV damage. The gift set also comes with a Berber Oil Diffusion Comb for even distribution. My favourite product of the set is Berber Oil Hair Treatment which is a luxurious indulgent treatment, providing intense nourishment to my hair. I just love how beautiful my hair looks and feels after using Osmo Golden Luxury Gift Pack, perfect for everyone that loves shiny and gorgeous hair. For your chance to win a Osmo Golden Luxury Gift Pack, please fill in the Rafflecopter below. You MUST leave a comment and subscribe by email (compulsory entries), you can also gain extra entries by tweeting (daily entry), subscribing to other social media channels, etc. T&C’s: The winners will be picked by Rafflecopter after the closing date on Tuesday 10th December 2013. Lilinha Angel’s World will contact the winners by email or Twitter within 7 days wherever possible and will allow 7 days for a reply. Open to over 18′s and UK only. If I do not hear anything within this time period I reserve the right to redraw a winner. Lilinha Angel’s World decision is final. 182 Responses to "Day 5 of 12 Days of Christmas Giveaway: #Win Osmo Golden Luxury Gift Pack"
Sleep on a silk pillow to keep your hair soft and smooth! I try and drink lots of water – I find that helps my skin and hair! Always rinse conditioner off really well and make the last rinse as cold as you can stand. To do a deep conditioning treatment you dont need expensive oils or hair masks, (though luxury is nice) 1,just wash your hair as normal but wash TWICE, 2 then using your conditioner start massaging the hair from tip to root making sure you massage your scalp thoroughly this will help produce the natual oils in you skin to attach to your hair, 3 once done wrap some cling film or carry bag around your hair as you would a towel. then wrap a towel around you head leave for 30 minutes, 4 then rinse your hair thoroughly with LUKE warm water thats really important, 5 comb through thoroughly from tip and work your way up to your roots if you start from roots your ripping and breaking your hair. Now weather or not you allow to dry naturally or blow dry its always important that your hair gets time to cool down heat opens the cuticles in your hair kinda like branches the elements can damage it. the cold however helps close the cuticles and protects your hair keeping it feeling and looking healthy for longer. I alternate shampoo and conditioners to prevent build up. have it trimmed regular to keep split-ends away. natural rain water is the best water to wash your hair in ,to keep it in good condition. I use a deep conditioning mask on my hair once a week and it seems to work well for me. Eat lots of protein – it makes my hair stay healthy and grow super quick! I have fine hair; my secret is only condition your hair once a month at the most otherwise your hair, if it’s anything like mine, will be lifeless and unmanageable. Towel dry and then mouse! Try not to use the straighteners too often! I try not to use the dryer too often. My hair is currently a huge mess so can’t really advise on what to do. always use heat protect serum on your hair before using hair straighteners to protect it. Always give your hair a second rinse with cold water. It really helps to give shine and vitality ! I never blow dry my hair, and it looks okay. Not something I worry about too much. olive oil .left on for half an hour then rinsed off Fab!! Always use conditioner, and leave on at least for a few minutes, dont rinse it off straight away. I haven’t found it yet! Don’t style it all the time – it damages it. I always dry my hair naturally to avoid over drying it. Always finish blowing your hair dry with the cool setting running down the length of your hair – it sets the style, stops frizziness…and it looks shiny! If you would like to be blonde, please take a hint, stay away from bleach, use high lift tint! Make sure to rinse shampoo thoroughly and use a good conditioner too. And as I have naturally curly hair, I always leave it dry on it’s own, I never straighten mine. I vary shampoo. Whilst as I have become older I have realised the importance of regular hair conditioner, as my hair is becoming drier. good diet, proper hydration, don’t apply too much heat your hair! 1. Use Vodka as a final rinse on your hair, it smooths down cuticles to make it super-shiney – don’t worry you don’t smell of alcohol after, you only need about 1/2 a cup at most, just use cheap stuff. 2. Stop using shampoo! – Shampoo is really bad for your hair and scalp as it strips hair of natural oils making it more prone to damage, thus why you use conditioner to repair the damage. Normally conditioners contain silicones that coat the hair to actually hide the damage, and it creates build-up meaning you need to use more shampoo…it becomes a vicious cycle. By stripping hair of natural oils it also triggers your scalp to create more oils so hair gets greasier faster; thus why your hair gets more greasy the more often you wash it. Plus check out the ingredients of your shampoos, conditioners, and hair-care products…nasty, shampoo especially has sodium laurel sulphates (this is in lots of things, it’s a foaming agent) which is an irritant and the #1 cause of dandruff. 3. There are various other ways to wash hair apart from shampoo, most common is the no-poo method using baking soda and apple cider vinegar but this has a ‘detox’ phase and it’s hard to find what ratio works for your hair. I recommend conditioner-only washing, conditioner alone is enough to cleanse the hair without stripping it of oils, and as long as you use a brand without silicones like dimethicone there is no build-up so no need for shampoo. Conditioner-only has less of a ‘detox’ phase so is easier to adapt to, plus it’s also known as ‘curly-girl method’ as it’s really good for curly hair; all moisture, no drying! There can be a detox phase, and if your hair has been badly damaged it is more obvious when you stop using silicone conditioners as it’s no longer hiding the damage, but long-term your hair (and health) will be greatly improved. Each time I buy diffrent shampoo and conditioner, I belive every one of them if giving something diffrent to my hair. Put protection products on before applying heat better still leave hair to dry naturally! Use an argon oil based deep moisturising hair mask once a week. I haven’t really got any I just wash and condition and it seems to work for me. I wish I had a secret! Maybe this prize could be it. Use a hair thickening product like Nioxin, looks expensive but very economical and really has made such a difference to my fine hair. Beer shampoo! I have very dry hair from over dying it over and over, and my hair dresser recommended beer, I have never looked back! I was sceptical at first, but washing my hair in beer gives it such a gloss, and it never smells of alcohol either, its lovely! I oil my hair before washing! Only wash hair every few days not to strip out oils, deep condition once a month. Leave the conditioner in for as long as possible then wash off at the end of your shower. Use an intensive treatment mask once a week on towel dried hair, and leave in over night – your hair will be so silky the next morning after rinsing out and blow drying. Another tip is to use a wide toothed comb in the shower to evenly distribute your usual conditioner, then leave for 1 minute before rinsing. Comb or Brush your hair fully after you wash it. Regular trims and not over washing it!